Create a trade brochure for zoos that features a line of postcards featuring photographs taken by wildlife photographer Bob Lipsky. 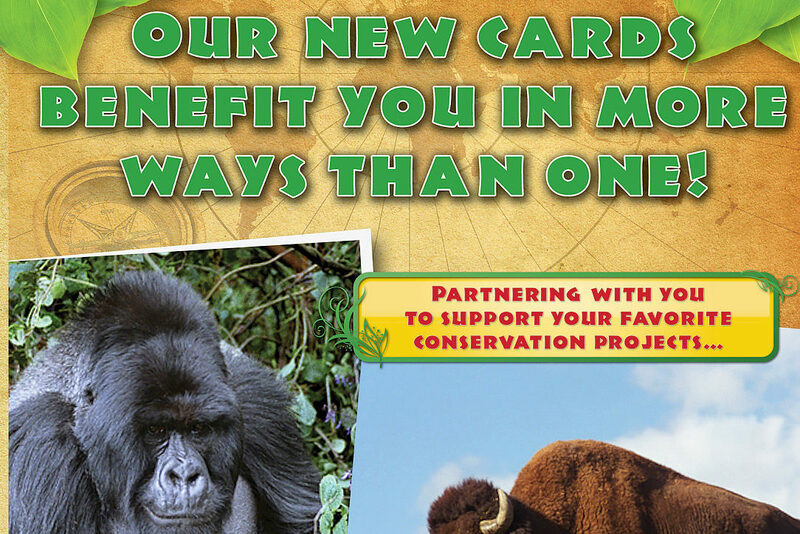 Highlight the benefits (conservation donation with purchase, educating customers about wildlife) of displaying Mr. Lipsky’s postcards in zoo gift shops. We quickly highlighted all benefits and pricing information so busy buyers could scan the information, and featured all photography on the back page to present the full line of postcards. In addition to this brochure, we created all postcards as well as a website featuring Mr. Lipsky’s full line of products. This effort enjoyed buy-in at zoos in Atlanta, Chicago, Michigan, Oakland, Seattle, and other locations throughout America. Since these materials were produced, we suffered the passing of Mr. Lipsky, who was a personal friend and mentor to the founder of JonEvan. We continue to mourn this loss and dedicate this page in our portfolio as a fond memory of the man and his many passions.